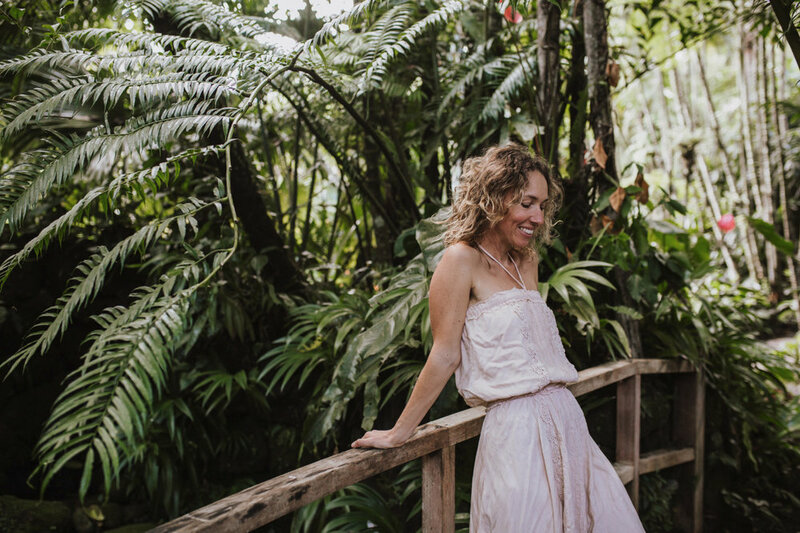 AWAKEN THE SACRED SEXUAL LIFE FORCE AND RESTORE YOUR FAITH IN THE POWER OF THE FEMININE CREATIVE SPIRIT WITH IYA OMI TOLA. Retreat was created by Iya Omitola (formerly Roxanna Minnona), with loving assistance from Baba Fatise (Shantam Nityama) who's wise presence provides a backdrop for the entire retreat process which primarily assists women to establish and fortifying their foundation for their ongoing spiritual work. The very nature of this process is an Initiation within the realms of "Sacred Womens business"
Affluence has attributed to a multitude of physical and mental diseases. We have so much on offer that we become more panic and anxious to keep up and be fabulous while crumbling in despair. Many women often feel that they give so much of themselves to family, career and so on that they need "treats" to replenish their reserves. You will come away from the winter womb retreat feeling more at peace and more nourished than you have felt in a long time, but rather than simply pampering and catering to desires, instead we replenish ourselves by addressing the fundamental causes of tension that keeps us stuck! The solution to dissolving chronic tension patterns is to develop a solid foundation from which our ongoing inner work can be sustained in order to make lasting change. A fundamental component to our psychological and spiritual maturity that has all but mostly been forgotten / removed from our cultural values without any adherence to the ramifications of failing to undergo these natural rites of passage. The whole experience from start to finish is like stepping into a sacred vortex, a container that we call 'The Cauldron', which becomes a sanctuary for each of us to explore, discover, remember, heal and empower through. Each woman's journey is uniquely alchemised by her own creative life giving energy and the natural forces that govern our existence. By coming together, we draw strength to face, uncover and clarify our inner dimensions, sorting the gold from the garbage, and illuminating self defeating resistance and defiant programs that hold us in deep trauma and stress states. This process restores the Jing essence which enables women to have greater connection to their femininity, and the qualities needed to enjoy life, such as patients, courage, silence, communication, subtle awareness and so on. Due to Nityam's Retirement, The live in Retreat with Iya is the most direct and supported way to gain access to the teachings and spiritual guidance, other than a one to one online sessions. During the 5 days there will be a live video link up discourses with Baba that greatly contributes to the overall transformative journey, whilst still maintaining integrity in the 'sacred women's business' environment. This process being highly effective and provides proven lasting solutions to the difficulties that most women are rassling and tussling with on a day to day basis. Now we have this precious opportunity to create the foundation to live a life driven by loving support from both Iya's & Baba dedication to thriving in times of great adversity. This is a fundamental journey for every women.